I suppose I could let you discover the amazing accomplishments of fellow Drawger Jos. A. Smith on your own, but then again, I'm happy to share my best kept secrets. Generally speaking, I'm not much for the "how to" or "guide" genre of books. Mainly because I think it better to learn such things through trial and error, and...with all the great works of literature still waiting for me to discover them, I have felt it best to adhere to my reading list. But, there is an exceptional book out there researched and written by Joseph, that is certainly worth reading. 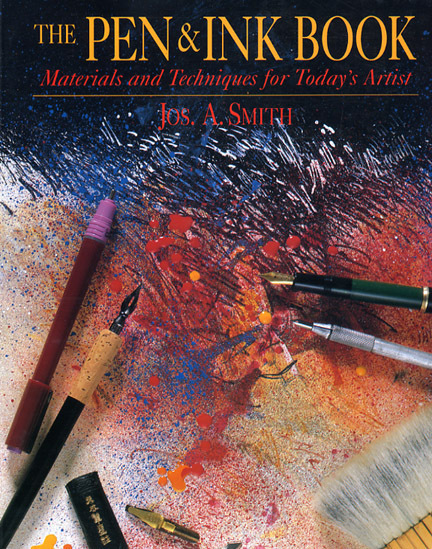 I learned a great deal about materials and their applications/backgrounds, and great artists works employing them. There is a good sampling of Joe's work throughout.